a couple of dresses, modelled by frankie (top) and bella. 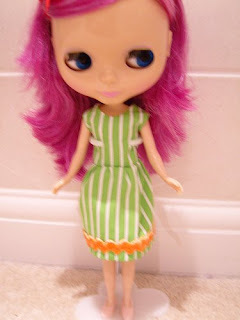 frankie's dress has a corsage on it, which is something i might add to future dolly projects. got my sweet spuds dec kit today.